Show me a corporate boss who calls Haiti the “poorest country in the western hemisphere,” and I’ll show you a con artist preparing to fleece Haiti. 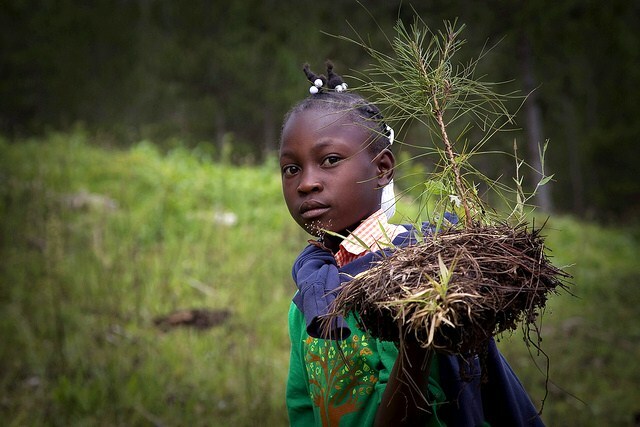 Likewise, show me a western technocrat who bemoans Haiti’s “dramatic deforestation due to charcoal production” and I’ll show a bio-pirate or vandal preparing to wreck the country’s remaining cloud-forest and mangrove-forest ecosystems. It turns out that the real plan for Haiti’s northeastern region — especially the Caracol Bay area — is one that was hatched by U.S. and Canadian mining corporations, with the U.S. and South Korean sweatshop zone being a side project and distraction. 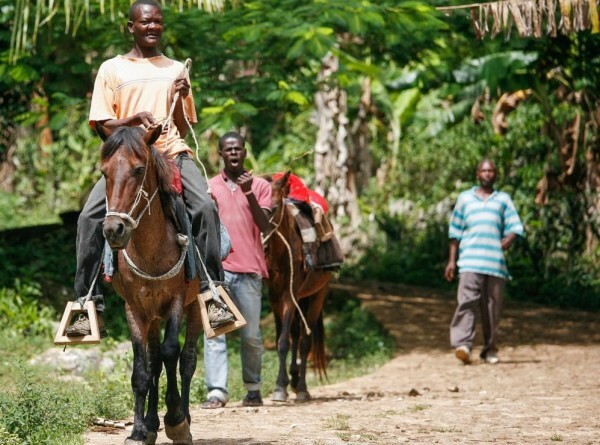 If this mining plan is given a green light while Haiti is under foreign occupation, it will permanently strip the country of much of its mineral, cultural, and ecological wealth. This glowing picture omits the fact that Barrick and Goldcorp have come under strong popular opposition in the DR. In a country where 20 percent of the population lacks access to drinking water, these companies are accused of polluting 2,500 cubic meters of water per hour with the vast quantities of cyanide needed to process 24,000 tons of ore a day by opencast (or open-pit) mining. Open-pit mining is banned by the European Union. Activists in the DR have joined forces with a broader group called Observatorio de Conflictos Mineros de América Latina (OCMAL) that launched a campaign to end this practice in the region. These problems are compounded by the damages from the more intense tropical storms due to climate change. For example, in the Philippines, the largest gold mine had to be suspended due to an unexpected spillage of waste into a major river. In the DR, there is great concern that the country’s biggest water reservoir, which is close to the mining operations, is continuously at risk of cyanide contamination, since stories of spills and massive fish die offs caused by mining companies are legion. 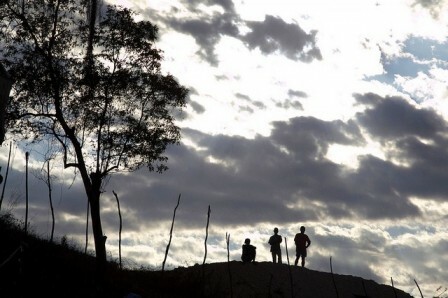 Barrick and Goldcorp have also been accused of dynamiting mountains and destroying Taino Indian archaelogical sites. 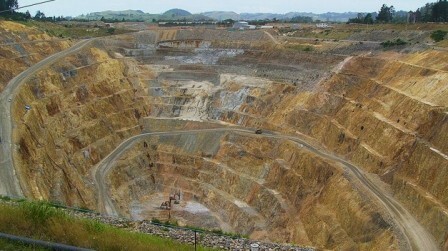 The Haitian government and an EMX-Newmont joint venture signed a memorandum of understanding (MOU) in April 2012. A gold prospecct called Savane La Place was picked as the first project for drilling by this MOU, which allows exploration drilling while a mining convention is being ratified to permit development. SOMINE is an acronym for Société Minière du Nord-Est S.A. and is described in the mineral trade sheets as a “Haitian affiliate mining company.” It is 66.4 percent owned by Majescor, with the rest being owned by unidentified members of Haiti’s elite. Majescor is still a relatively small company that conducts mineral surveys. The SOMINE property is surrounded by other mining properties owned jointly by Majescor and much larger concerns like the Vancouver-based Canadian company Eurasian Minerals Inc. (EMX) and the Colorado-based US company Newmont Ventures Ltd. Once Majescor’s surveys are complete, it plans to find a big partner, like EMX, Newmont or Barrick (or some partnership of these like EMX-Newmont), to handle the extractive part of the project. Curiously, the area of the SOMINE property was initially surveyed as early as “the 1970s by the UN Development Program, with some very good results [but the project was not pursued. Then] there was a feasibility study done by the Germans [Bundesanstalt fur Geowissenschaften und Rohstoffe (BGR)] in 1980, and there was further drilling done in the 1990s by Canadian junior [mining companies],” recalled Hachey. 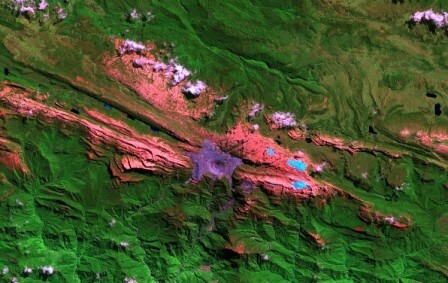 During the 1980’s, the area was explored again by the UNDP and also surveyed by the French Bureau de Recherches Géologiques et Minière (BRGM), both of which reported finding only copper. The official story is that an abundance of copper had until 2012 obscured the fact that the area’s ore is also rich in silver and gold, and this was discovered from Majescor’s recent prospects of Douvray, Blondin and Faille-B. However, the story could just as well be that the mining executives were biding their time and waiting for a “stable” non-nationalistic government to take effect before initiating their projects. Indeed, the issue of gold mining could have been one of the undeclared motivations behind the February 2004 removal of Aristide. The post-coup government immediately went to work signing away Haiti’s mineral rights without any knowledge of the public. For example, the mineral rights to the SOMINE property were quietly assigned under a Mining Convention executed between this company and the coup government on May 5, 2005 and presumably valid until March 9, 2020. 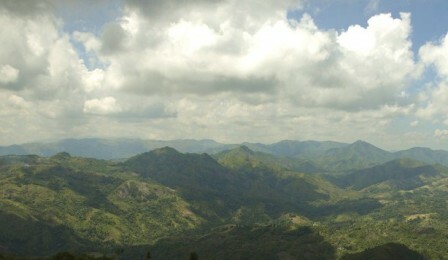 In any case, after the coup, Haiti’s mountains suddenly began to glitter. For example, an exploration of the Faille-B prospect in 2007 reported a gold vein that averaged 42.7 grams of gold per ton of ore (g/t) over 6 meters, including values of 107.5 g/t of gold over one meter. 0.3 percent copper over 12 meters, including 0.61 percent copper over 1.5 meters; 154 grams of silver per ton (g/t) over 12 meters, including 869 g/t silver over 1.5 meters. 16.9 g/t silver over 113 meters, including 6.2 g/t silver over 1.5 meters; 0.43 percent copper over 113 meters, including 4.44 percent copper over 1.5 meters. 277 g/t silver over 13.5 meters, including 1,428 g/t silver over 1.5 meters; 0.18 percent copper over 13.5 meters, including 0.52 percent copper over 1.5 meters; 0.04 g/t gold over 13.5 meters, including 0.04 g/t gold over 1.5 meters. These highly concentrated deposits of copper, silver and gold should reasonably represent a new found wealth for Haiti during a dire need of resources for the country’s reconstruction. But if the DR is to serve as an example, Haiti will not benefit from its minerals. In the DR, Barrick owns 60 percent of the Pueblo Viejo gold mine and Goldcorp Inc. owns the remaining 40 percent. To get a sense of the scale of the greed, one need only consider that, while gold currently costs over $1,700 per ounce, the Pueblo Viejo mine is slated to produce one million ounces of gold per year at a cost of only $20-50 per ounce, making it one of the lowest-cost gold mines in the world. As major draws for a big mining partner to this next phase of the project, Hachey is advertising that, unlike Port-au-Prince, which was destroyed by the earthquake, Cap Haitien is a pleasant place for a Canadian mining executive and his family to come to. 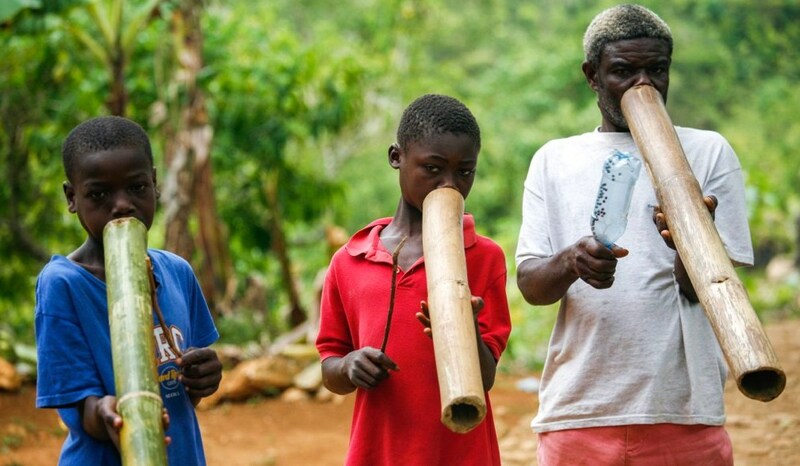 In addition, he notes that there are plans for “the construction of a deep-water port at Caracol,” only 15 kilometres from the SOMINE property and near Cap-Haitien. Indeed, on May 7, 2012 Martelly announced that the construction of a port would soon start in Fort-Liberte (near Caracol), in the Northeast. The port will cost $179 million and is supposed to be “built with the U.S. government’s help,” but it will likely be entirely owned by U.S. concerns. This first official announcement of a deep-water port for Caracol explains in part why there has been no effort to mitigate the ecological effects of the massive free-trade (sweatshop) zone inaugurated in October 2012 in that area: the textile factories’ contributions to the degradation of Caracol Bay should be trivial compared to the damage from opencast gold mining and construction of a deep-water port. UPDATES on December 21 and 28, 2012, Associated Press, VCS Mining. Under cover of the holidays, Haiti’s Mining Director Ludner Remarais issued a gold exploitation permit to VCS Mining LLC (and its wholly-owned subsidiary Delta Societe Miniere S.A.), a U.S. company based in North Carolina, and gold and copper exploitation permits to SOMINE S.A. SOMINE is 66.4 percent owned by Canada’s Majescor Resources Inc and 33.6 percent owned by a group of unidentified, and possibly nonexistent, Haitian investors. According to Majescor CEO Dan Hachey: the permit “allows us to finally produce and make money, at least get to that step…. It’s also a great step forward for the mining industry in Haiti.” SOMINE engineer Michel Lamarre said he expects exploration to start in 36 to 42 months, and VCS CEO Angelo Viard expects his company to enter into “production” within 29 to 38 months. The gold permits are for five years and renewable for up to 25 years, with a possible renewal for another 10 years if new resources are discovered. These permits were issued by Remarais without any environmental-impact assessment (EIA). UPDATE on January 24, 2013, Defend Haiti. After a meeting of Haiti’s Senate Committee on Public Works and Communication, Minister of Public Works, Transportation and Communication Jacques Rousseau, and Director General of Mining and Energy Ludner Remarais on Tuesday, January 22, 2013, the Senate met and rejected the agreements made by Remarais with the U.S. and Canadian mining companies in December 2012, pending a review of the companies and the agreements. UPDATE on April 10, 2014, Miami Herald. Plans to dig a deep-sea port in Fort-Liberte, near Haiti’s Caracol Bay area, have been scrapped. If the plans had gone ahead, they would have destroyed a rare hotspot of biodiversity in the Caribbean with Haiti’s largest remaining mangroves and such a breathtaking variety of corals that the area had been slated to become a World Heritage Site and marine park. Apparently the controversy around the project discouraged potential investors. Instead of destroying Fort Liberte Bay, the existing port in Cap Haitien will be expanded, despite its current operations being ten-fold under capacity. UPDATE on March 5, 2015, Breitbart. The teaser to a new book titled Clinton Cash: The Untold Story of How and Why Foreign Governments and Businesses Helped Make Bill and Hillary Rich, by Peter Schweitzer, reveals that Hillary Clinton’s brother, Tony Rodham, as well as a former Haitian Prime Minister, Jean Max Bellerive, sat on the board of VCS Mining when it was granted its mining permit without an environmental impact assessment (EIA), under cover of Christmas 2012. UPDATE on November 10, 2015 (Eurasian Minerals: http://www.eurasianminerals.com/s/haiti.asp). Under the cover of the Haitian elections, the US began to consolidate its mining interests in Haiti. The Canadian company, Eurasian Minerals Inc. (EMX) announced, on November 2, 2015, that it sold to the US mining company, Newmont Ventures Limited, all their joint-venture interests. Eurasian received $4 million (CAD $ 5.3 million) in cash from Newmont for the deal, along with a 0.5 percent net smelter return (NSR) royalty on 45 of the permit applications Eurasian got in the area. 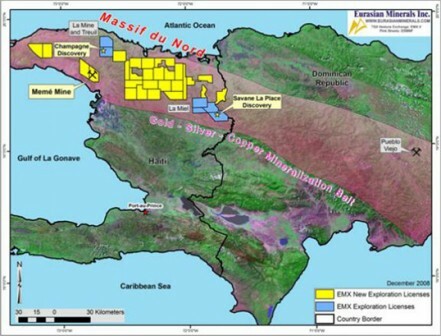 Eurasian will continue to control 100 percent of the Grand Bois gold-copper project in Haiti. Editor’s Note: News Junkie Post co-Editor in Chief, Dady Chery, broke this story on May 2, 2012. She is the author of We Have Dared to Be Free: Haiti’s Struggle Against Occupation. Photograph one by Sky Truth; photographs two, five and six by United Nations Photo. Photograph four by Stormy Dog and photograph seven by Andrew Kuznetsov. Photographs eight, nine and ten by Alex Proimos. I hate the governmental and corperate corruptions that have occured in Haiti’s history. A good model of openness in the mining development is Afghanistan where the bidding process is very transparent, and the Afghan people are benefiting. Haiti is currently a place where Clinton’s rich corporate friends can cheat on their own religion: i.e. practice capitalism without risk, in a captive market without import or export tariffs. Afghanistan’s ongoing war must create an even more ideal set up for “transparency”. Awww… My heart weeps when I think of those poor investors. People who oppose mining companies tend to end up dead in plane-crashes like Dag Hammarskjöld and Bernt Carlsson. Carlsson was probably the real target of the Lockerbie plane crash, and Libya’s al Megrahi had absolutely nothing to do with it. Unfortunately that is the world we live in. Those hell-bent on stealing the earth’s resources will stop at nothing. An area of Antarctica, twice the size of the United Kingdom, has just been renamed Princess Elizabeth Land by William Hague. 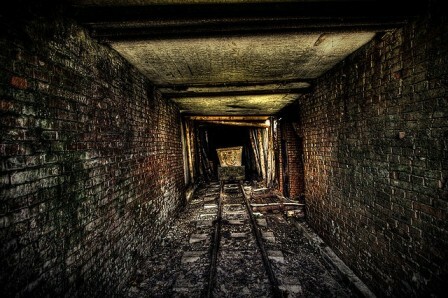 The imperialists are aware that there are minerals underground and because of global warming, induced by them, and us, these resources are likely to be more easily accessible. Thank you, John. Actually, mining activities not only pollute massive quantities of water but also generate vast amounts of CO2 that accelerate global warming even more. 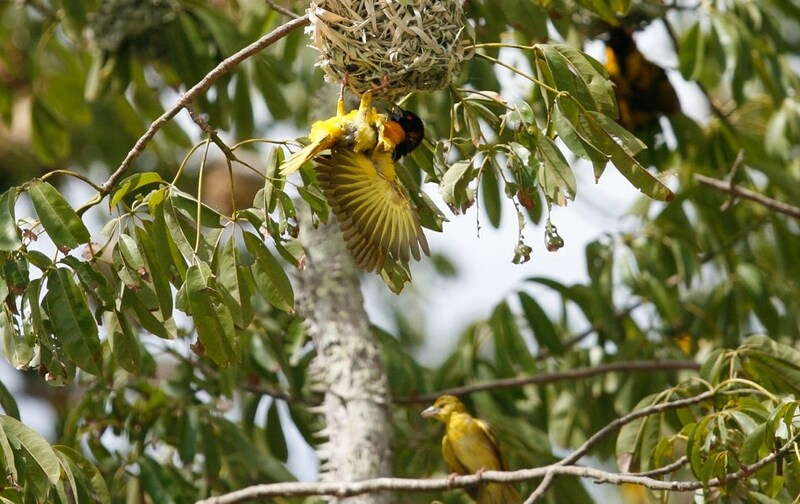 Excellent observation and exhaustive comparative analysis of both wings (Haiti and Dominican Republic) of the same abused bird . Allowing the Director of the Bureau des Mines to sign and approve permits for the exploitation of Haiti’s resources without a review of the legislative body says long about the country’s standing under this abject foreign occupation. Dady, GREAT article. This confirms some speculations. Thanks for this excellent informative article. Interesting your comment “waiting for a “stable” non-nationalistic government to take effect before initiating their projects.” I think it is quite within the realms of possibility that corporate and US / Canada / France forces have had this in mind for some time, possibly as far back as 2002 but definitely since 2004. I see many parallels here with oil exploration in the Niger Delta region of Nigeria – environmental destruction, corruption, corporate neglect and greed facilitated by a weak government in the pocket of imperialists, increased repression, terrible health consequences for local people, loss of land and water and huge amounts of wealth for few elite etc.